Q. What is the ninth of the Ten Commandments? No one wants to be around a liar because no one trusts a liar. God does not want His followers to be those dishonest, untrustworthy types that people do not want to associate with. Think about it: lying hurts our ability to share the good news with the unsaved world. The Bible speaks in no uncertain terms when it comes to our honesty: “Lying lips are an abomination to the Lord (Proverbs 12:22).” Many believers are quick to point out that homosexuality is an abomination to God, but that same indictment is leveled upon those who bear false witness. Furthermore, when we practice deceit we are acting more like Satan than God, for Satan, “is a liar, and is the father of lies (John 8:44).” That same verse says that when Satan lies he is speaking his native language. When you speak, do you sound like God or like Satan? I had the opportunity to review two volumes of The Power Bible by Green Egg Media. There are ten volumes in all, and I got to check out one volume from each Testament. 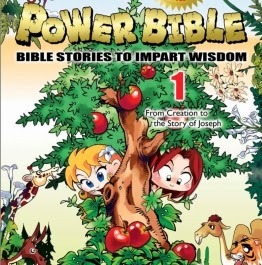 This Bible is a unique take on children’s Bibles, using comic book format and bright animation. 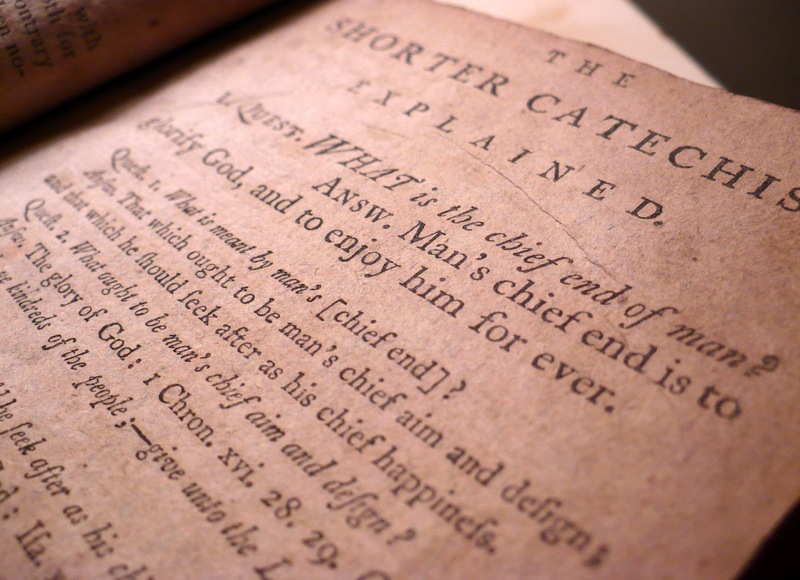 As most children’s Bibles, it is not a verse-by-verse Bible, but more of a story format. The Power Bible reminded me of some of the comic books I read as a kid. It utilizes text boxes for narration, saying things like, “Meanwhile…” to keep the story moving. My five year old daughter has enjoyed looking through it and following along as we read it to her. This is a creative way to get children to read the Bible, and I tip my hat to The Power Bible’s creators. 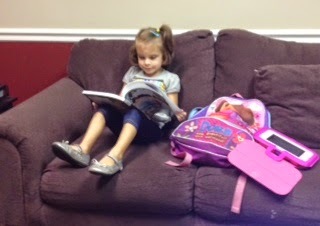 Visit Green Egg Media to learn more about The Power Bible or to purchase it for yourself. Q. What is the eighth of the Ten Commandments? For many people the command to not steal applies to big things, like cars, money, or jewelry. But the eighth commandment is not limited to home invasions or bank robberies; God did not define stealing with a dollar amount. Stealing is taking anything that doesn’t belong to you—regardless of value. Stealing is wrong even if the item stolen is an ink pen, piece of candy, or something intangible. We have probably all stolen at some point in our lives. What does Paul tell former thieves to do? Instead of taking from someone else what does not belong to us, let us give to someone else that which does not belong to them. Yes, please do know your Bible. 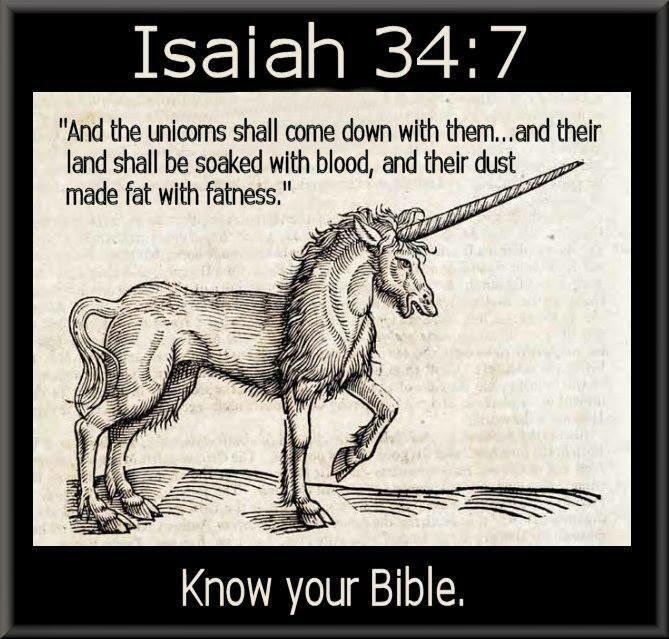 Only the King James Version uses the word unicorn. The last time the KJV was updated was 1769, and at that time the word unicorn did not mean what it means today. Newer translations use the words wild oxen, but no need to get hung up in those pesky facts. Q. What is the seventh of the Ten Commandments? But while adultery is defined as sexual misconduct inside of marriage (as opposed to fornication, which is misconduct outside of marriage), Jesus took this command a step further. Just as He equated hatred with murder, He also equated adultery with lust. Before we pat ourselves on the back because we have never cheated in marriage, we need to examine our own thought life. Jesus said that every intentional lustful thought is the same thing as the physical act of adultery. Some guys will look at images of women who have had so many plastic surgeries they could have been made by Mattel. Some women will watch a chick flick and fantasize about the character who dances with his girlfriend on the street in the pouring rain. Both are fake; both lead to unrealistic expectations that can never be fulfilled. We should not commit adultery, whether the physical act or the secret thought. Like Job, we need to make a covenant with our eyes and not look or think with lust. There is a strange scene recorded in Acts 14. Paul and Barnabas are on their first missionary journey, in a city known as Lystra. Lystra is in modern day Turkey and was in close proximity to Phrygia. While this is a humorous scene, a little history can shine some light here. 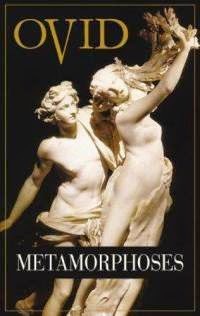 In 8 AD, approximately 40 years prior to this event, Ovid published The Metamorphoses, which is considered to be one of the greatest classics in Greek mythology. So prevalent was Ovid that Shakespeare alluded to him in every one of his plays. As the story goes, the gods finally came to the last house in the city, the home of Philemon and Baucis. This elderly couple was poor, but they not only welcomed in their guests, they gave them the best of what they had. Baucis soon noticed that no matter how many times she topped off their glasses, the wine was not running out. “The two old people saw this strange sight with amaze and fear, and, with upturned hands they both uttered a prayer.” The gods revealed themselves to the couple and told them to leave the city because it was going to be destroyed due to the lack of hospitality that was shown. After running to the top of a hill, the couple saw their city destroyed. The only surviving house was theirs, and it was turned into an ornate temple to the gods. The couple became its guardians, and upon their death, were turned into a pair of intertwining trees to forever stand guard over the temple. We need to be ready at all times to turn people to the gospel.